Swallowtail Hill is close to the coast so there's a wonderful choice of beaches not too far away. 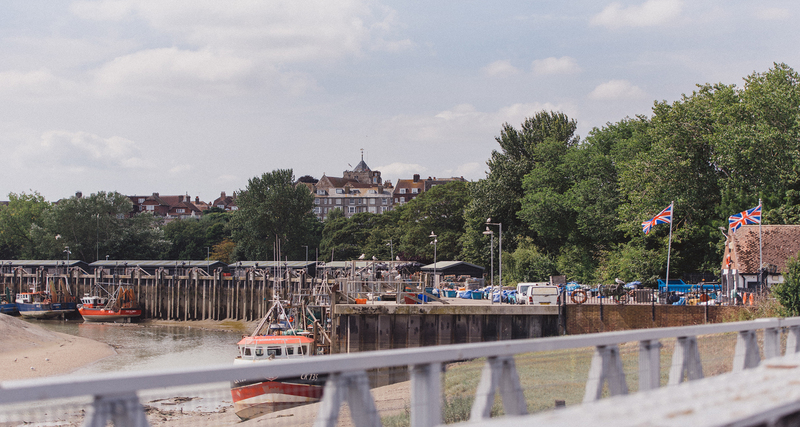 Rye Bay covers some 91 square kilometres with fantastic views, wonderful countryside and a largely unspoilt coastline. To the east of Rye is Camber Sands. Home to the only sand dunes in the county, Camber is the perfect place for a family picnic and a day of sandcastle building. Its dramatic landscape has often been used as a location for films and tv shows. There’s a beachside café for drinks and ice-creams. Our top tip? – in high season the road to and from the beach gets very congested so an early start is recommended. Winchelsea Beach is a small, rural resort, first developed in the early 20th century. Its gently sloping beach is made up of shingle rather than sand, a lovely spot – quiet and unspoiled. You’ll find an ice-cream van there in summer time and there’s also The Ship - open 7 days a week for beachside dining. Hastings’ main beach backs right onto the seafront so you’re never far away from the town’s facilities and attractions. Once a Great British Seaside Town – time hasn’t been kind to Hastings and its grandeur has faded – but the old town is still very pretty and the newly restored pier is worth a visit. The Blue Dolphin Fish Bar serves some of the finest fish and chips you’ll ever have! The beach at Dungeness is unusual - a vast expanse of shingle on the edge of Romney Marsh it is one of the most unique habitats in Britain, home to 600 species of plant and a number of rare insects and technically classified as a desert. 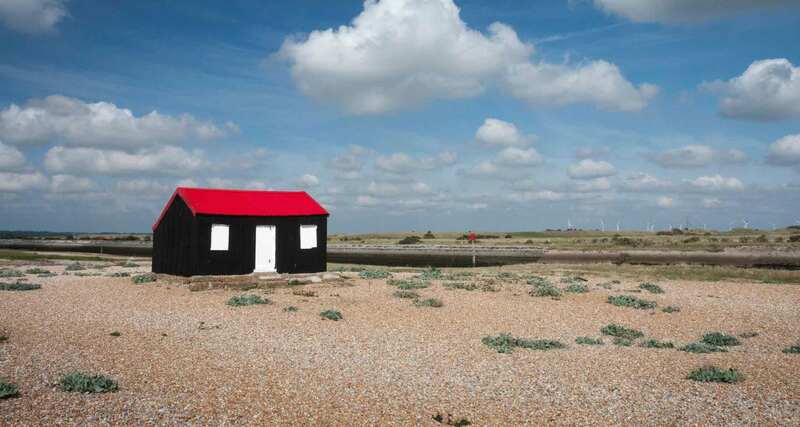 You can visit Derek Jarman’s post-modern Garden at Prospect Cottage on the shingle shore. The Pilot Inn at Dungeness is also famed for its fish and chips. For the adventurous there’s the Kite Surf Centre at Camber Sands offering kitesurfing lessons, kite buggying, kite landboarding and standup paddleboarding. Check the weather and tides at Camber Sands. The Reserve is one of the most important conservation sites in Britain, it's recognised as a Site of Special Scientific Interest, a Special Protection Area for birds, a Special Area of Conservation and a Ramsar site. 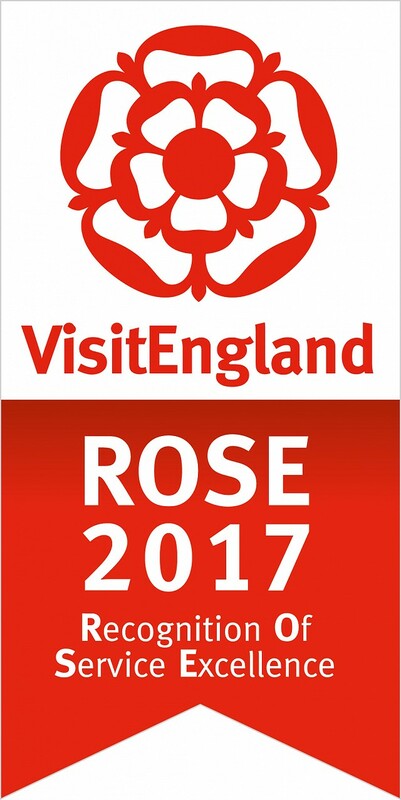 If you’re planning a day here, there’s a café, two pubs and a tearoom in Rye Harbour Village. 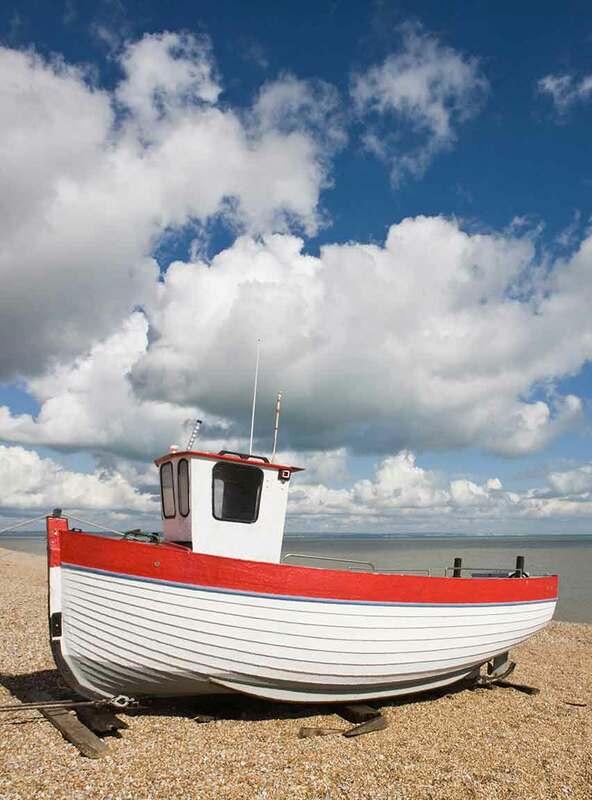 Further afield there’s Pevensey Beach – a rural shingle beach which was where William the Conqueror landed in 1066 before the Battle of Hastings. The beach is quieter than many along this stretch of coast and has lovely views across the channel and around the curve of the coastline. Over the border into Kent there’s Dymchurch Beach which is a flat and mainly sandy beach. Popular with families there’s plenty of seaside fun in Dymchurch as well as the Hythe and Dymchurch narrow gauge railway to enjoy too. Read more about the area and what your stay could include.